Once Upon a Time Slip follows young China Winter as she discovers her ability to cross worlds and finds herself summoned by the father of time travel to save humanity. What was the inspiration behind the setup to this thrilling novel? I am absolutely fascinated by the paranormal, history and the whole steampunk movement. As an artist, a lot of my paintings and sculptures are heavily influenced by these three genres and my interest in art eventually began to seep into my writing. I have a love of antiques and learning as much as I can about past inventors. I also read a lot of scientific journals and have a huge interest in the whole concept of parallel universes, time travel and time slips. My biggest inspiration behind the book was the great Nikola Tesla. Other influences have been the volumes of history books and war stories I have devoured over the years. I wanted contrast in the story and so my main character is a futuristic, steampunk girl. I liked the idea of having a protagonist who would be willing to sacrifice themselves in order to save the whole of humanity if it was necessary. China Winter is an intriguing character that continues to develop throughout the novel. What were some obstacles you felt were important, to highlight her character development? The biggest obstacle for China was having to choose sides in war which seemed to have no boundaries. Her loyalties were being tested throughout the story. Being faced with life altering decisions which would have led to suffering and loss, was the ultimate challenge for such a young girl. Falling in love with a dead man led to a fork in her path of destiny. The story takes place in a steampunk future where wild inventions abound. What were you favorite inventions or tech to create and write for? Without giving too much away, I loved creating new time travel devices throughout the story. I felt that it was necessary to have more than one mode of time travel transportation in order to give the full impact of how extremely advanced technology is yet to become within the future. I am currently working on the sequel to Once Upon A Time Slip which will become available in 2019. I cannot leave the readers breathless and tingling with anticipation as they stand at the edge of a mighty cliff hanger! The future will crumble as history re-writes itself in the great time travel apocalypse. It is the year 2258 when nineteen year old China Winter discovers her ability to cross the veil between worlds. On a quest to find her missing brother Maddox, she finds herself summoned by the father of time travel – Nikola Tesla to help save the whole of humanity; both past and future souls. China must sacrifice so much as she is dragged ever deeper into a treacherous and eternal time war. Stepping back in time from her steampunk-esque existence, China finds herself caught up in the most incredible battles. Every army that ever existed can materialise in the wrong time or place, at any given moment to lay siege upon the earth. Slipping back and forth between the mists of time, history re-writes itself, playing havoc on the very fabric of reality. Can she survive the world of hauntings, poltergeist manifestations and time slips to save the universe from complete obliteration? 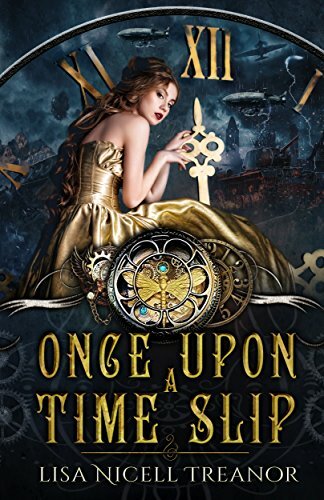 Once Upon a Time Slip, written by Lisa Nicell Treanor, is about a nineteen-year-old woman by the name of China Winter. China must escape the rise of the supernatural and the demands of a potential war by travelling with her grandfather to Liverpool to start a new life. But there are new dangers that lurk within the streets of Liverpool with threats of time slips and repercussions from the government on the forefront of every mind. Time wars develop, throwing China’s plans to find her missing brother out the window as she battles a world where being erased from existence is just a matter of being in the wrong place at the wrong time. China is an orphan and was raised by her inventor and toy maker grandfather, Clarence Winter. The story is set in 2258 so prepare for a whirlwind of futuristic scenarios- from mechanical hearts to humanoids to rewiring of the human soul. The future is here, and so is the potential for time travel. However, some problems can cause irreversible results. With real-life inventors like Nikola Tesla being incorporated into the plot line, be prepared for a magnitude of exciting inventions, creations and scientific discoveries. Even though the story is set in the future, there are still elements of present/past issues. For example, with a war looming there are whispers of conscription with continuous pressure being pushed by the government. Some of the characters have mechanical body parts which still leaves them wondering who they are, how do they fit in, and what is the meaning of their life. I enjoyed the aspects of the past intertwined into the future as it gave the novel a sense of realism and was a reminder that our past mistakes tend to be repeated in society. Lisa Nicell Treanor paints beautiful word pictures that gives readers an easy glimpse into the fantastical world of China Winter. I really enjoyed the level of detail in this story. There were so many suspenseful and even fun moments that were really brought to life by the vivid imagery. All of this lends to an intriguing and magical plot line that is punctuated with wild and creative inventions. Abductions, soldiers and poltergeists come together to create an action-packed plot, all creating a sense of urgency and suspense throughout the story. Once upon a Time Slip is a unique time travel story that will open your mind to strange possibilities. If you’re looking for an exciting novel with a strong sense of adventure, then look no further. 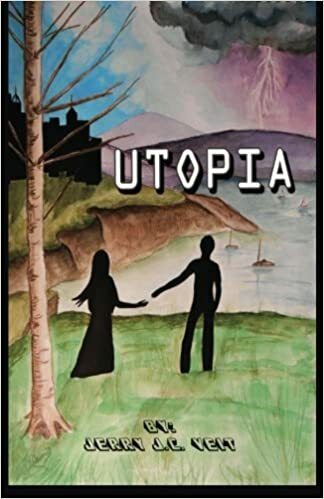 Utopia follows Brian who wakes up from a coma to a world very different world. He is given everything, but Brian starts to question this with deadly effects. I always found the idea of Utopia’s ripe with social commentary. What message did you want to convey to readers with this book? The three things that people invest so much time into finding are a good job, a nice home, and someone to share their life with. It would save a lot of frustration if these things are automatically given to you right from the get go. However, every society has to have some structure to make sure it remains successful. Working in the shadows of this perfect world is a control factor that cannot allow people to reach their full potential. It limits the possibility for humanity to achieve personal achievements because then they are suggesting something is not perfect. If something is perfect it does not need to be changed; just like if something is at its highest level of operation then it cannot be further advanced or bettered. If everything was perfect then nothing new can ever happen. Sounds like a boring existence. Do you think Utopia’s can ever be possible for humans? Or do you think hardship is a natural and acceptable part of life? While it is a nice concept I believe a Utopia can never be successful. People’s lifestyles and goals vary too much to fit into any perfect structure. What might be perfect for one person will be intolerable for someone else. In Utopia, everyone lives in posh apartments with next to no rent. That may be awesome for a few of us, but then you will have those who like having a yard or a basement, or not living with other people or even may need a garage. There are too many variables to make everyone happy. Nobody wants to experience hardships, but if you take a look back those hardships taught you what you needed to know to learn and grow. A bad job can motivate you to look for another one or go back to school; your future will now be better because of that bad job. If everything was perfect we would have no need to change anything. One of my favorite utopian stories is The Island with Ewan McGregor. What is one of your favorite utopian stories that inspired you? The Demolition Man was a movie that came out in 1993 and depicts a non-violent world with no murder, theft, or crime of any kind; not even a curse word is ever uttered. When a real criminal is let loose in the city the police do not know how to stop him. In my story the enemy is the government, which is not uncommon. Governments, politics, and conspiracies seem to go hand in hand. Organizations like the Illuminati, Freemasons and The Majestic 13 have been theorized to be the evil puppeteers behind our society for generations. If there is a system or structure set up, there will be a reason to find fault with it; and there is fault with it. Afterall, this is not a perfect world. My next book will be written as a regular novel and takes place in a futuristic past. 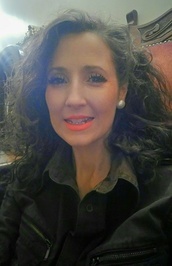 I am trying to merge several genres together. Right now I’ll categorize it as a sci-fi, fantasy, mystery with elements of steampunk, legends and erotica… Give me some time with this one. Brian Troth is a defense attorney, who after being shot in the head, awakes from a coma thirty years later. He is told that the world is now “perfect” where everything is provided. He is given a new job, a posh apartment and, to his surprise, the perfect romantic match. However, when he questions the sudden disappearance of a colleague and stumbles upon a concealed government secret; he and his loved one become targeted for a swift removal. Apocalypsia details a post-apocalyptic Earth. Demons comb the land and what is left of humanity struggles to survive and trust one another. What was the inspiration that made you want to write such an immersive story? I had a lot of time on my hands (haha). I was in my early twenties, worked two days a week, living in my parents’ basement, and was addicted to video games. Writing was my way to keep my mind active and a way to escape my uneventful reality. It started out as some dark and depressing poetry (some of which appears in the book). I felt like the only way I could find meaning in this world is if it ended. That was the idea that sparked Apocalypsia. I wanted to go on an adventure, and if I couldn’t live it, I could at least create it. I also drew inspiration from authors like Edgar Allen Poe, and Charles Dickens, and stories like Beowulf and Lord of the Rings. 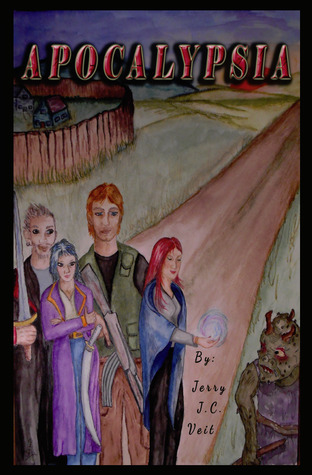 This story is a fun blend of science fiction, fantasy and post-apocalyptic. Did you plan the novel before you wrote or did this happen organically? I was told to always know the ending of your story before you begin. Apocalypsia was the exception. I had no idea where this story was going to go. At times I felt the story was telling itself and I was just the messenger. I never thought about what will come next only what was happening now. In its infancy I wanted to make Apocalypsia a graphic novel. I wrote it into twenty-five separate books in a little over a year and a half. Since I cannot draw or know an artist that could take on this huge project I rewrote it to read more like a manga, but without the art; since I was into Japanese anime at that time. About a year later I developed a love of screenplays and the desire to write them. Apocalypsia was rewritten again into three different scripts due to its length and the 80-120 page constraint of a normal screenplay. When I discovered self-publishing the book that exists today got another overhaul. The book gained new content and became a little darker too. I was older so everyone in the story had to grow up also. Overall it took seven years and several rewrites before Apocalypsia appeared in our hands. What is your writing experience and how has that helped you write Apocalypsia? I actually wrote all of my books as screenplays first until I learned about self-publishing. I reformatted my screenplays into novelized script versions by taking away all the screenplay lingo, headers and directions, but kept the name of the speaker before my dialogue to cut down on “he said” “she said” throughout the entire story. Screenplays taught me about plot points and showing not telling. I learned to write a good ending and a good beginning and then finding out how to link the two. I learned how to write books by thinking about them as movies. Usually screenplays are the product of books. My books are products of screenplays. I have started writing a steampunk story. I think that will be a cool genre to explore. I have the beginning written and several notes about the world, technology and devices that exist, and character backgrounds and personalities, but I’m still working on the plot so no release date in sight yet. Much of civilization lies in ruins after the mysterious happenings of a demonic uprising. In this post-apocalyptic world survivors must scavenge for supplies while taking up arms against demons, goblins, and even each other. When an ally’s fort is attacked; a small group of survivors take it upon themselves to unite and stand against the further spread of demons. Along the way new allies agree to stand with them. Encountering stronger demonic threats and the discovery of an ancient artifact, which could destroy the boundaries between Hell and Earth, causes a collision of the human resistance into an epic final battle with the demonic forces. 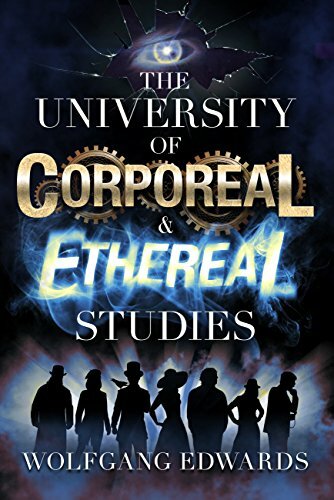 The University of Corporeal and Ethereal Studies is a genre-crossing novel with elements of a science fiction, paranormal, and fantasy as well. Did you start writing with this in mind, or did this happen organically as you were writing? My idea for The University of Corporeal and Ethereal Studies began when I was falling in love with the Steampunk sub-genre and I knew I wanted to write a series of short stories set in a fantastic, fictional university with the themes of sci-fi and fantasy that are often seen in Steampunk. As I was developing the stories I quickly realized that I wanted to incorporate paranormal and horror elements in order to give the book a darker edge. I was also in the midst of reading a lot of H.P. Lovecraft, which has certainly had an influence on my writing. The story is divided into a number of different perspectives from each character. What was the inspiration for your characters and what themes did you try to use? It all started with my friends from college. I have been very to lucky to meet a lot of interesting and diverse people with a wide variety of backgrounds and studies, which inspired me to write about a cast of characters who are all very different, but still wind up becoming the best of friends. The deeper themes of these characters wrestling with inner demons and overcoming fears and flaws actually stemmed from my own darker thoughts and fears, and over the years of writing and editing, the characters also took on lives of their own, evolving into the people you see in the final draft. The University is an intriguing place that rivals Hogwarts and begs to be explored. How did you set about creating this imaginative world? As a child I was definitely inspired by J.K. Rowling, so there is an element of Hogwarts about the University, but primarily this world began when I was actually in college and shortly afterward. I was – and continue to be – amazed by the latest breakthroughs in science and the fantastic expressions of artists of all mediums. As I began brainstorming ideas for a Steampunk University I could not help but imagine impossible, dark twists on real studies of arts and sciences. The world that the University is situated in is even more exotic, as it is inspired by the rich diversity of our own real world, as well as history and of course, sci-fi and fantasy elements from a life as a bookworm. The sequel to The University of Corporeal and Ethereal Studies is still in the first draft stage. I have it all outlined and I am plugging away at writing it, one day at a time. The characters from The University will be traveling abroad – but I am not done with the University itself. I have an anthology book in mind with another variety of short stories set at the University, exploring more of the dark and creative studies there. The first sequel is undoubtedly at least a year or two away, but I am working on it as fast as I can. I am very excited to share my writing with my friends, family and anyone who enjoys sci-fi, fantasy and paranormal fiction. Classes include subjects such as time travel, alchemy, oneironautics, psychedelic transformation, rogue automatons, cosmic ghosts, reality-warping crystals, and more. Upon entering the book, The University of Corporeal and Ethereal Studies, the reader is immediately greeted with an acceptance letter. Wolfgang Edwards uses this as a sort of introductory to foreshadow what is to come: you are literally stepping out of our own reality and into this new one and this letter serves to summarize that. What follows is the collections and stories of various students and characters who attend this university. Set in a fictional, sometimes bizarre, universe, Edwards explores various facets of the supernatural, blending fantasy with characters who have very human traits. I think an interesting way to categorize this book is like taking Harry Potter to the next level. You sort of get that feel because of the setting that it’s in. It’s not magic per say, but exploring otherworldly things, some of which I was unfamiliar with before learning about it. So that’s really the closest way to describe it, although it goes far beyond that. I learned a lot because certain things piqued my interest which I honestly have never heard about before. The book is intriguing and I became more interested the more I read. One such example was a chapter titled ‘The Oneironaut’ which is based off a concept called oneironautics. I learned that this is the concept of lucid dreaming, or being able to control your dream, whether it is trying to wake up from a dream or make something happen within the dream. The actual story is divided up into a number of different perspectives from each character. Some had more relatable stories and more developed characters than others; some were truly fantastic. It reads like a dark adventure of disconnected people that the author is able to draw together for a bigger purpose – much bigger, and much more dangerous. Throughout the various chapters, we learn of different schools within the University, from which the different characters attend. There’s the School of Coin, School of Metallurgy, School of Engineering, etc. Each school is headed by a dean; and one sticks out in particular. 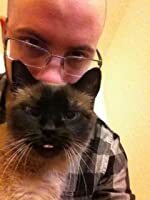 Dean Merkea – an unpleasant man with an ugly, tattered demon dog who even urinates on a character’s shoe at one point. My favorite chapter, Prisoner from Beyond, ties together Dean Merkea, a curator, and unravels the launch of a very unique exhibit at a museum. Despite its setting, the author manages to piece together a few solid pieces of insight every so often that can be just as intriguing as the story. One such example was of Arakatzeko, a character who can be related to someone like Socrates today: deceased, but full of wisdom. As Araktzeko is studied, we learn alongside the characters: “the true rulers of the royal palace were the cats, who were said to live through every change in royal families without incident”. Such tangible reliefs are welcome and help humanize an otherwise crazy setting. As the book progresses, you get a feeling it’s heading towards something – just not sure what. The unique stories of each of the characters has surely got something for everybody, admittedly some more than others. It is guaranteed to stay fresh and new until the very end, which may leave you wishing that the author could’ve just kept going.